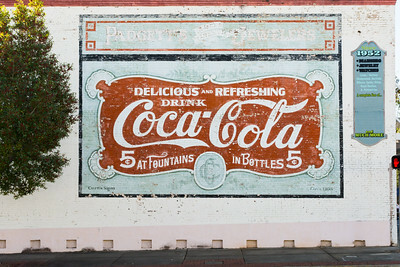 This old Coca-Cola sign was found in Moreland, GA while traveling with daughter Kara. 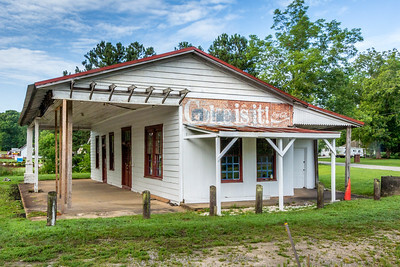 The location of the old gas station is along GA 26 and Church St. 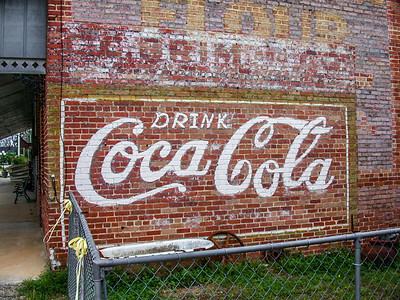 Many years ago I took this photo of an old Coca Cola ghost sign on the side of a building in Sasser, Ga. 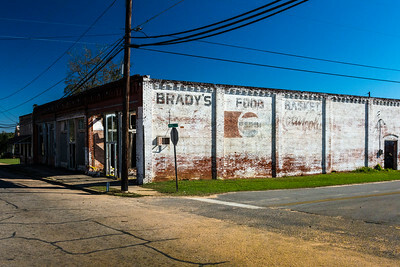 The sign is on the corner of Main St and GA 87. 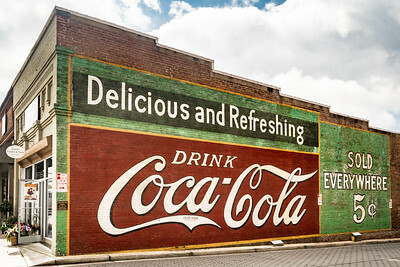 This is the wonderful Coca-Cola sign in Burnsville, NC. The woman on a bike is the first Coca-Cola sign of this type I have seen sestored. A great asset for the community. 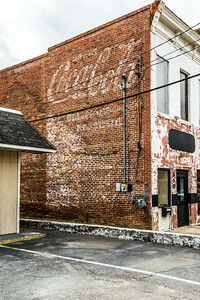 The Coca-Cola developing ghost sign on Candler St. in Villa Rica, GA. One of the few hand painted Coke signs with the Trade Mark notation. 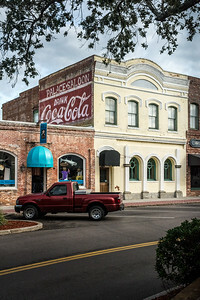 The Coca-Cola ghost sign in found on the upper brick wall of the Palace Saloon in Fernandina Beach, FL. The building is located near the water on Centre St. The sign helps give the town a real historic feeling. 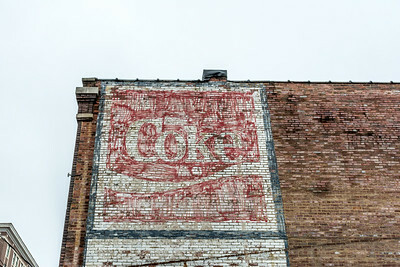 The Coca-Cola wall sign is rapidly becoming a ghost sign. I almost missed it. Located at the corner of Main St and Bull St. 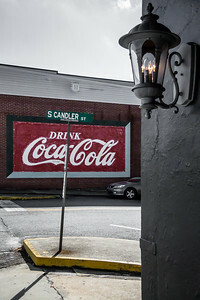 I found this Coca-Cola sign in Villa Rica, GA. It is on its way to being a ghost sign. Notice the Trade Make notation. This in only the second sign I have found painted with the Trade Make on it. 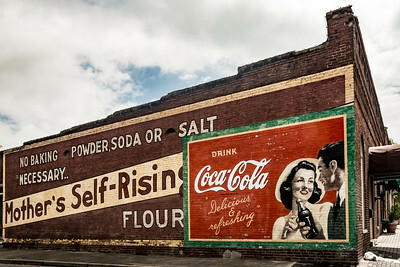 When visiting my daughter in Birmingham I decided to go on a hunt for old painted Coke signs. This one is almost gone and known as a ghost sign. At this time I am unable to give any history on the building or sign. Having a daughter living in Birmingham I decided to go on a hunt for old painted Coke signs. This one is almost gone and known as a Ghost Sign. At this time I am able to give any history on the building or sign. 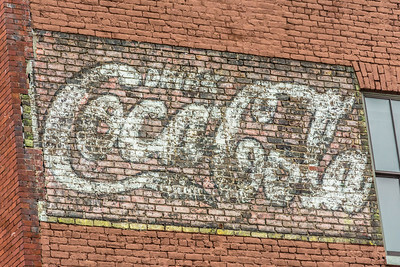 Keith and I in our travels off the road found this old Coca-Cola sign on a building in Macon, Ga. I have been unable to find anything out about the sign so far. Located in the quaint town of Micanopy, FL off Interstate 75. 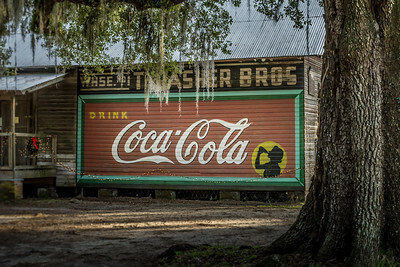 The Thrasher Warehouse was build in 1890 with the Coca-Cola Sign painted on the side of the building by Mr. Burke from Jacksonville, FL in 1930. The sign was painted freehand using only a string guideline. The sign was restored by Tom Thomas in 2011. 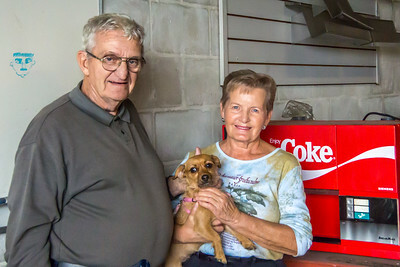 The warehouse is now the home of the Micanopy Historical Society Museum. 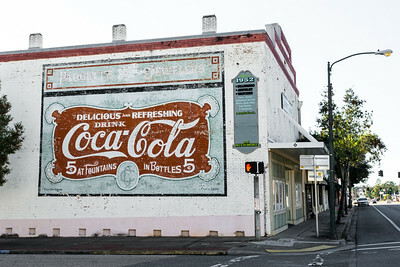 This is one of the few remaining hand painted Coca-Cola signs on a wooden building. Emery told us the sign was painted nearly 24 years ago and repainted every 5 years. 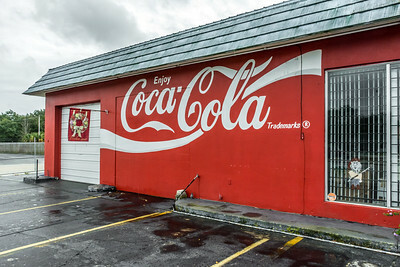 It is one of the very few painted Coke signs with the Trademark. This is only the second Coke sign i have found with the Trademark. 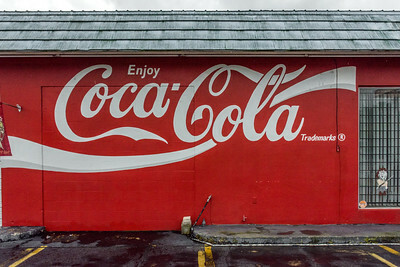 While traveling around Auburndale, FL Keith and I noticed this great Coca-Cola sign with the Trademarks notation on it. 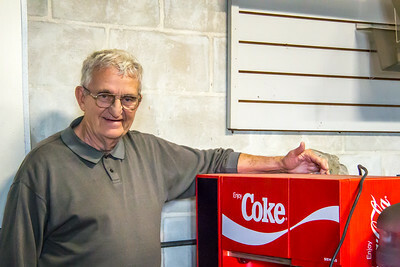 This is Emery who was the #1 Distributer for the pictured BreakMate Coke dispenser. The machine is no longer made. 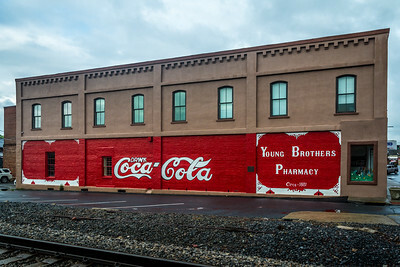 Coke painted the sign on the building with the trademark because of his sales. Behind every successful man you will find a woman and maybe a dog. Ruth helps with Coffee Break Time business and keeps track of Ally and Emery. 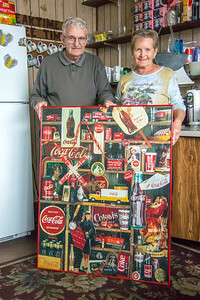 Emery and Ruth wanted to show their very rare Coke crossword puzzle. The puzzle is one of only a few in existence. You just never know who you will meet and make friends with while looking for pictures. This is the only Coca-Cola sign I have been able to find in Titusville, FL. 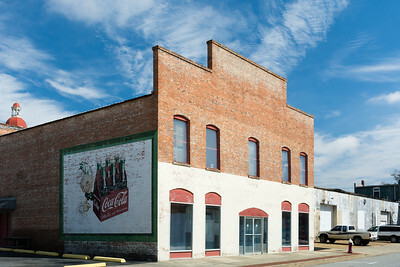 The sign is located along US 1 on the Kloider's Cobbler building. 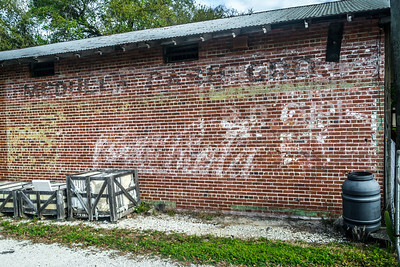 The sign is fading and soon will be a ghost sign. 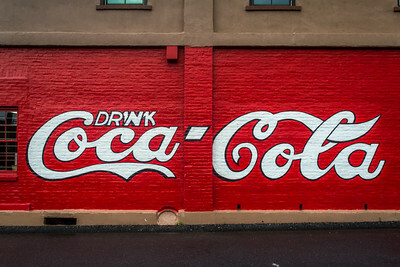 These are the painted Coca-Cola signs on the wall in the courtyard of Kloiber's Cobbler. I am not sure of the age and who painted them yet. Will try to find out the next time I am over. 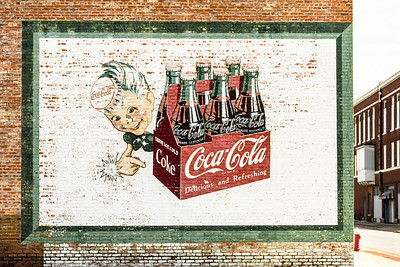 i came across this Coca-Cola painted wall sign on E. Liberty St in Sylvester, GA. It is a shame the sign is slowly becoming a ghost. 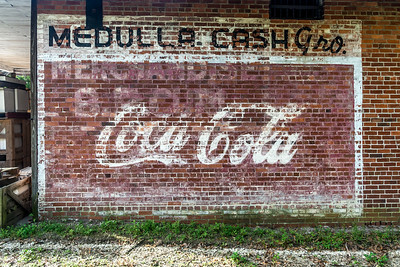 I came across these old Coca-Cola advertising signs on the back of an old building in Sylvester, Ga. The building is located on School St. 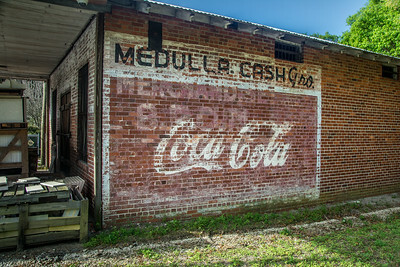 This Coca-Cola sign was painted on the side of an old brick grocery store in Medulla, Fl. You run upon the sign all of a sudden entering Madulla on US 17. The building is currently being used as a tile company. The sign looks like it was painted over another sign. 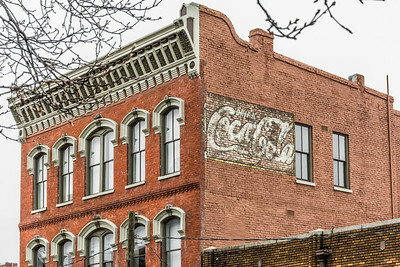 The Coca-Cola sign was painted on both sides of the building. 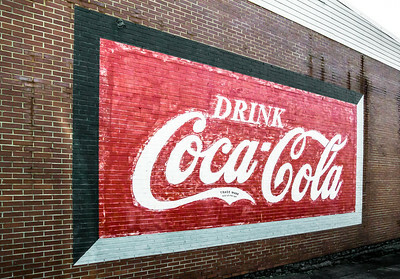 This is the very first Coca-Cola advertising sign painted. 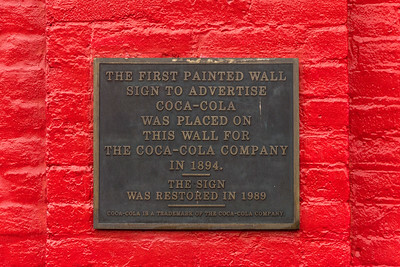 James Gouden, a Coca-Cola syrup salesman painted the fist of a kind sign in 1894. Twenty-five layers of paint were removed during the restoration to reveal the original sign in 1989. 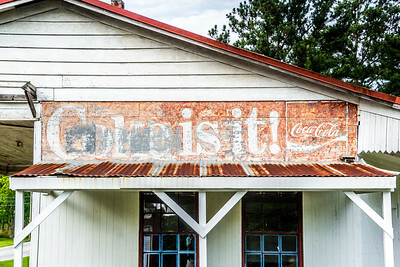 There are two Coca-Cola signs in Acworth, Ga. This sign is slowly becoming a ghost sign. It was painted over the Mother's Self-Rising Flour sign. The sign is found on Cherokee St. 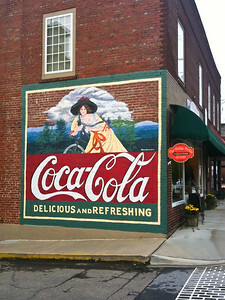 This is the second of two Coca-Cola signs in Acworth, Ga. It was originally painted in the 1920's, As you can see the sign is slowly becoming a ghost sign also. It is found on Dallas St. in the downtown area. 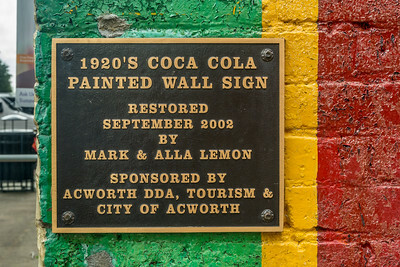 The sign was restored in 2002 by Mark and Alla Lemon.